Tourism Minister, Derek Hanekom, says the publication of a coffee table book on Hajj by a South African, “captures the heart and soul” of the annual Muslim pilgrimage. Hanekom was speaking at the launch of the photo journal #AbramjeeOnHajj. Social activist, Yusuf Abramjee, who undertook his first Hajj this year, released the high-gloss A3 landscape coffee table book in Johannesburg. It has over 400 photographs, all taken with his iPhone 6 Plus, of #Hajj2016 which took place last month. The Minister said “every Muslim I know, even those who are not religious, dream of going on Hajj. It is a life-changing experience. “We thank Yusuf for sharing his experience. You captured the heart, soul and meaning of the Hajj. I studied the over 400 photos and they tell a rich story,” said Hanekom. He praised SA pilgrims who fed thousands of people during the this years Hajj. Abramjee led the feeding scheme. Addressing almost 500 guests, Abramjee said he decided to share his journey to “inspire, motivate and educate people of all religions. “Hajj unites us. The book is also about promoting social cohesion and it promotes religious tolerance,” he added. “Muslims are often labeled as terrorists and we are wrongly associated with groups such as Al Qaeda and Boko Haram. We need to change this. Islam is a peace-loving religion…Hajj, which attracts millions of people, shows that,” Abramjee added. 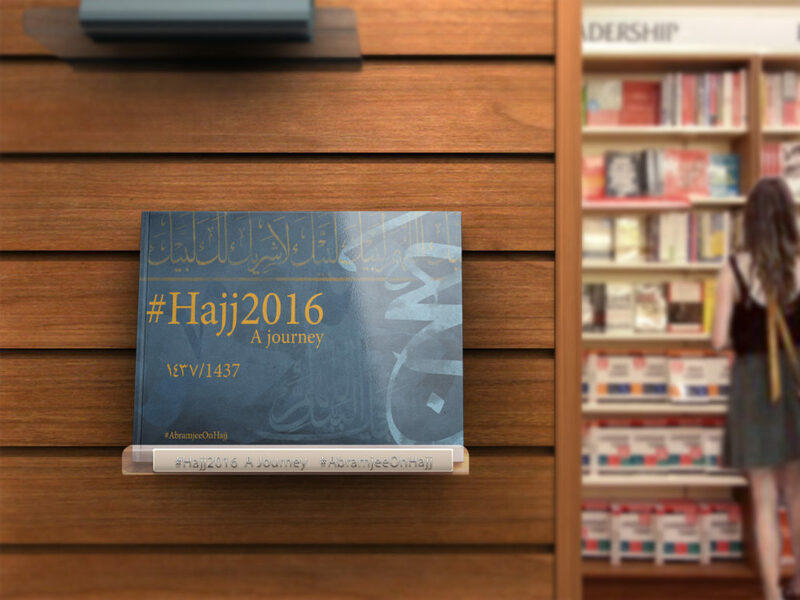 The book sells at R750 and proceeds will go to two charities- Awqaf SA and Crescent Lifestyle for “Hajj Waqf”. The funds will be used to sponsor destitute pilgrims to travel next year. Abramjee said he and Vision Branding publisher Yaseen Theba would be donating books to libraries and NGO’s. Over R275 000 was raised at the launch to sponsor books. In the foreword, Saudi Arabia’s ambassador to South Africa, Abdullah Mohammed Almadhi, said #AbramjeeOnHajj “presents a text that is accessible, and illuminating, with an astounding visual richness, subtlety, and inspiring depth. “May the book inspire other pilgrims to perform the Hajj,” he added. The coffee table book has also been endorsed by, amongst others, Gauteng Transport MEC, Ismail Vadi, Secretary General of the Jamiatul-Ulama SA (Council of Muslim Theologians, Moulana Ebrahim Bham, Monique Strydom – SA hostage survivor and founder of Matla A Bana, Janine Hills founder and CEO of Vuwani Reputation Management and Brand SA director as well as businessman and former cabinet minister Tokyo Sexwale. 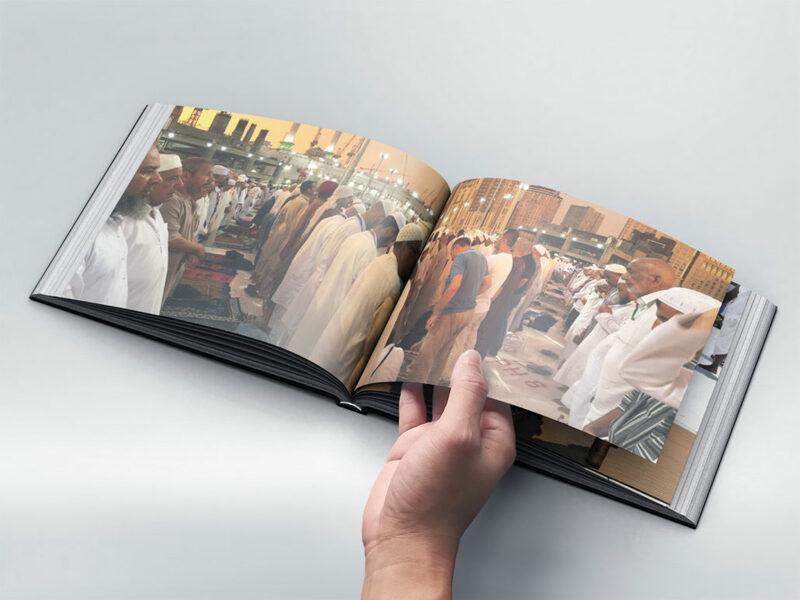 The book has photos of the Grand Mosques in Madinah and Makkah, historical Islamic sights and the five days of Hajj- the “tent city” in Mina, Arafat and Muzdalifah. The Jamarat, where the symbolic pelting of the Satan takes place, is also highlighted. Some 1,8 millions went on Hajj this year- the lowest figure in many years.